Essence's Model Rocketry Reviews is pleased to announce a four company logo contest. 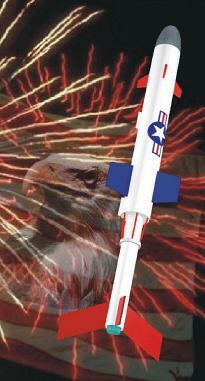 Essence Aerospace Technologies (EAT) - Model Rocketry Kits in limited production runs. Get 'em while you can. Plan+Decal Packs. See website. UnderDog Rockets - Kits, Ground-support and FlisKits' kits.. See website. ReBar Rockets - Sunward, SemRoc, Fliskits, Estes, ASP, Quest, etc. kits.. See website (no longer available). Total Thrust - General rocketry sales including kits and components. See website - Coming Soon! Winners will be judged by EMRR Guests during a voting week of August 22 - August 28, 2004. They will be looking for the logo they feel has the most appeal for each of the companies. Contest is over on 8/21/2004. Online Voting will take place from 8/22 - 8/28.